"Recording of the Month ... this is outstanding ... (the recording) is well up to the high standard of earlier releases ..."
"Five Stars ... sound is robust and muscular, full-bodied rather than pristine. Mezzo-soprano Clare Wilkinson sings the solo songs with ingenuous simplicity, subtly inflecting the words with period pronunciation ... never grows monotonous and, even after an hour-and-a-half of music, one is left longing to hear more." 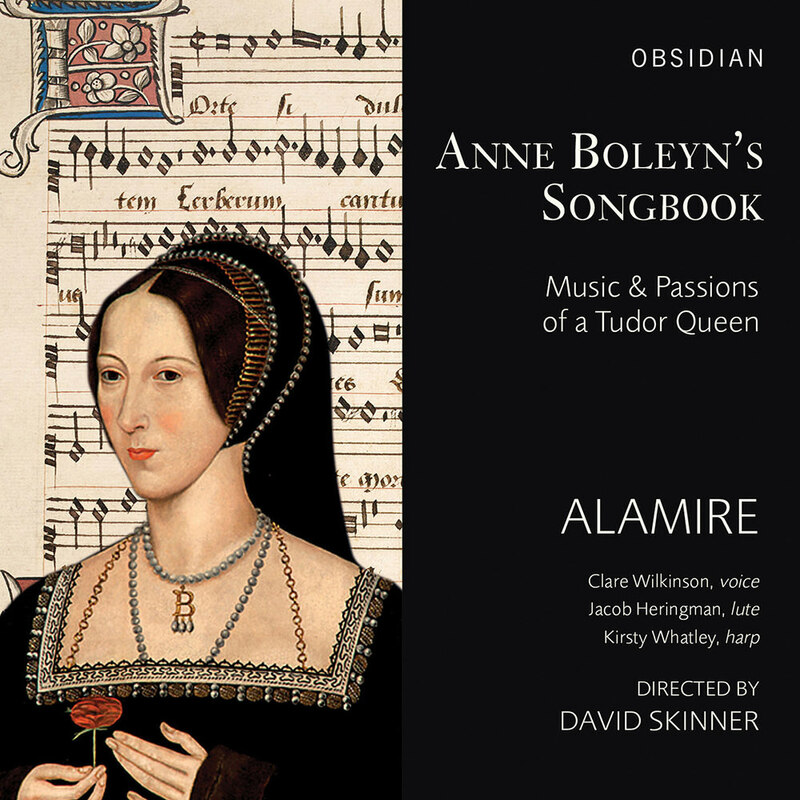 This fascinating album contains music from a songbook believed to have belonged to Henry VIII's second wife Anne Boleyn, performed here for the first time in 500 years by the Alamire Choir. The songbook disappeared five centuries ago and has only recently been discovered, signed by the monarch himself. On the recording, the choir explores some of the finest works by the greatest composers of the early 16th century, including Compère, Brumel, Mouton and Josquin, interspersed with French chansons and instrumental items for lute, harp and voice. "The most interesting thing about Anne is what this music represents. She was a woman of great talents, of huge depth of intellect, real interests, who was pursuing all that was fashionable." Cover image: Anne Boleyn ©Hever Castle and Gardens with thanks & London, Royal College of Music, MS 1070, f.1v-2 (detail).